I always do this, I just had to share with you!! lol Now back to the point! Fashion Designer Fashion Risks! THANK YOU! Her prints are extraordinaire! HOPE YOU ENJOYED!!! Please hit that like button to your far RIGHT!!! EVERYONE TRULY COUNTS!!! Now! In the meanwhile, check out some of these awesome behind the scene shots! Hope you enjoyed! Thank you! Yes If you guessed, My 20th birthday pasted July 11th, Wednesday! And on this special day, I was working hard, rolling on all over the ground for the “shot”! LOL It was seriously a wonderful opportunity.. I got to work with model and Pagent Winner Miss Teen Florida USA; Genavieve Paige Boué, Pasarela Fashion Boutique and FIX boutique! Pasarela will be producing large posters, website and catalogue photos of MY work!! I have to find out how I can get my hands on all of them as soon as they’re up for my port!! 3) Make sure you have your clients goal at best interest!! There’s nothing worse than shooting all day to find out your images are awesome, but missed the point in mind ! KEEP THEM INVOLVED! 4) Last but not least, do whatever you can to create the best customer service atmosphere but be yourself! Your clients will feel more comfortable with you, open to recommending you to prospect clients and future projects! After days working on this shoot and balancing my day job, I’ve finally been able to create this post, whew lol I love it! 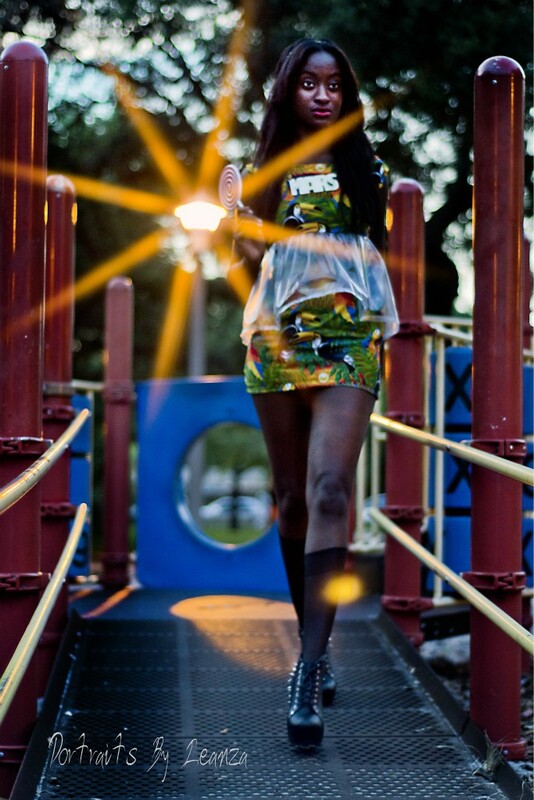 Photography by Leanza Altidor All Rights Reserved. Hey Folks!!! Wow has it truly been awhile!!? I’ve been away discovering one of my true talents and establishing my style! In what you may ask??? If it isn’t obvious yet, FASHION PHOTOGRAPHY! Oh yes! I’ve decided to jump start my career as a freelancing photographer specializing in Fashion (of course) Swimwear, Beauty, Runway and Entertainers! For more fyi, Yes I am currently building my portfolio, and working hard day and night to find ways each day to grow not only as a person and photographer, but as a business savvy individual as well!! P.s. Become a fan and like my FB fan page for even more updates and connection with yours truly, Leanza Altidor!!! Portraits By Leanza All Rights Reserved.